"Exploring the Wilderness of Being"
Join us for an opportunity to spend a week with one of yoga’s most sought after teachers. Chris’ teaching blends 40 years of yogic study and experience. A lifelong interest in the outdoors, aliveness and philosophy are major influences. Using classical and novel approaches; he weaves philosophy and refined experience into his classes that emphasize the importance of breath. A joy of a human being; Chris embodies the joy and benefits a well woven yoga practice can bring to our lives. This week offers the chance to learn, live, be at peace and grow in our understanding. Open to all levels; all are encouraged to attend. Some expertience in meditation is helpful, but not required. Workshop discounted at $895 if paid in full by October 1st. Space is limited. To reserve your place please register by sending your $200 non-refundable deposit (or full payment) to: Gray Bear Lodge, PO Box 682, Hohenwald, TN 38462. Price includes tuition, lodging, meals and full use of facilities. Late registration (after Oct 1st) increases to $995 with balance due day of arrival. (*) Save a tree-quietly. Funds from this retreat will be used to preserve a forest. Breathe in that crisp, clean air filtered by our coniferous friends...and know you are doing your part to return that gift. We’ll begin with guests arriving Tuesday 23rd between 1 to 4, class begins at 4:15. Dinner is served at 6:15, followed by orientation and opening circle. We finish our retreat on Sunday with brunch ; checkout at 2:00. We’ll begin with guests arriving Tuesday 23rd between 1 to 4, class begins at 4:15. Dinner is served at 6:15, followed by orientation and opening circle. We finish our retreat on Sunday with brunch ; checkout at 2:00. (*) Gray Bear is a two hour drive from the Nashville airport, so please plan arrival time/ departure time with this in mind. Chris has been a yoga teacher for over 20 years with 40 years of meditation and 30 years of hatha yoga experience. His lifelong interest in philosophy, the outdoors, and athletics influence his teaching. 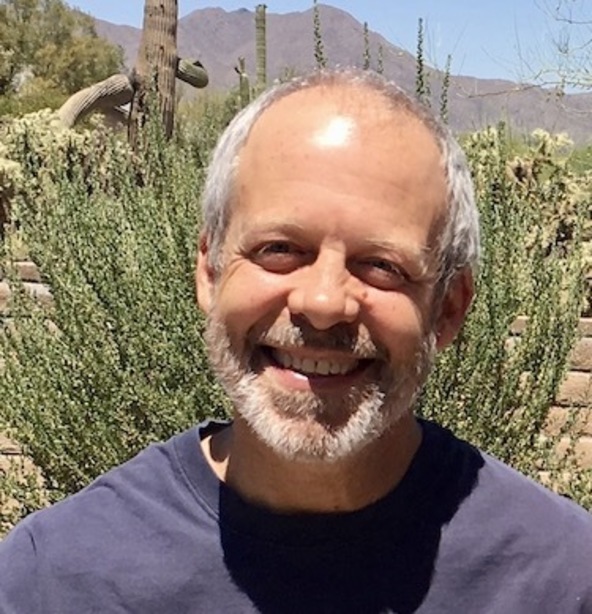 Chris teaches weekly yoga and meditation classes in Tucson, AZ, as well as workshops and teacher trainings throughout the US. He weaves philosophy and refined experience into his classes that emphasize the importance of breathing in hatha yoga. His concise, practical explanations and enthusiasm inspire students to deepen their own experience.